Untitled Ink was created from a love of custom unique tattoos. Untitled Ink is a fine art tattoo studio located in the heart of Broad Ripple. We have been proudly serving Indy, Carmel and Westfield clients since 2012. Owned and operated by Josh Pierson, an Indy native with a passion for all things tattoos. He is an avid collector of tattoo fine art including pastels, oils, and digital prints…and of course his very own ink! 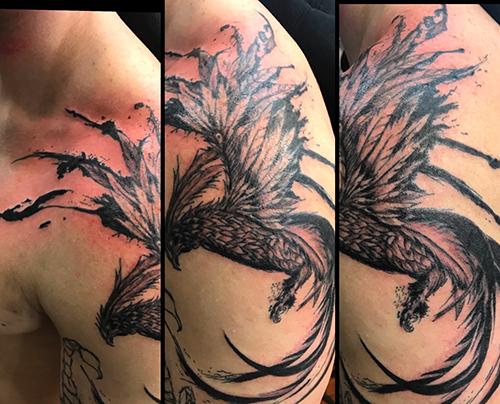 He has traveled the world to meet the experts and has been tattooed by Robert Hernandez in Madrid, Jeremiah Barber in California, Thomas Kynst in the Netherlands, Victor Portugal in Poland and Tommy Lee Wendtner in Germany. Josh knows the best and hires the best. Untitled Ink is proud to have a diverse group of top artists in the city that can offer clients any and every tattoo style. 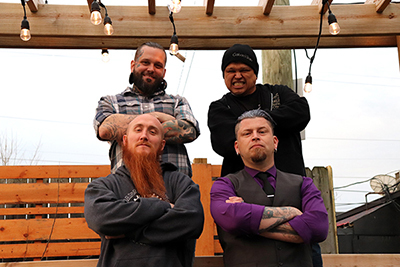 Check out the artists’ bios to learn more about our team and find the artist that will be best qualified to turn your unique tattoo vision into reality. The studio creates custom art, not so much the cookie cutter approach and no flash. Just hand designed, quality art. We adhere to the highest standards of health and safety and all workstations are fully equipped with your comfort in mind. Drop in to visit anytime or email one of our artists to book a consultation for your next or first tattoo! We have private parking behind the store on Cornell Ave. Feel free to stop by and talk to any of our talented artists about anything. 1. Can we handle a certain subject matter and which artist is up to the task. Good for challenging tattoos. 2. The schedule of an artist or their general availability. 3. When we can reserve an appointment for you.